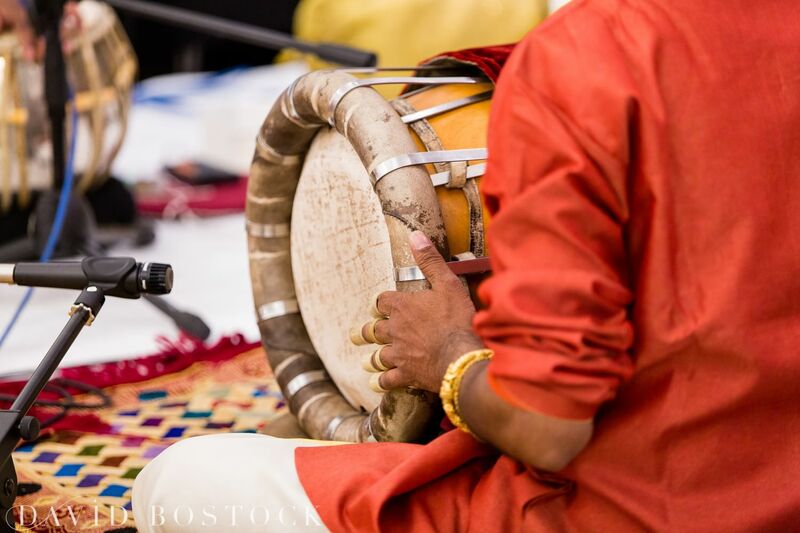 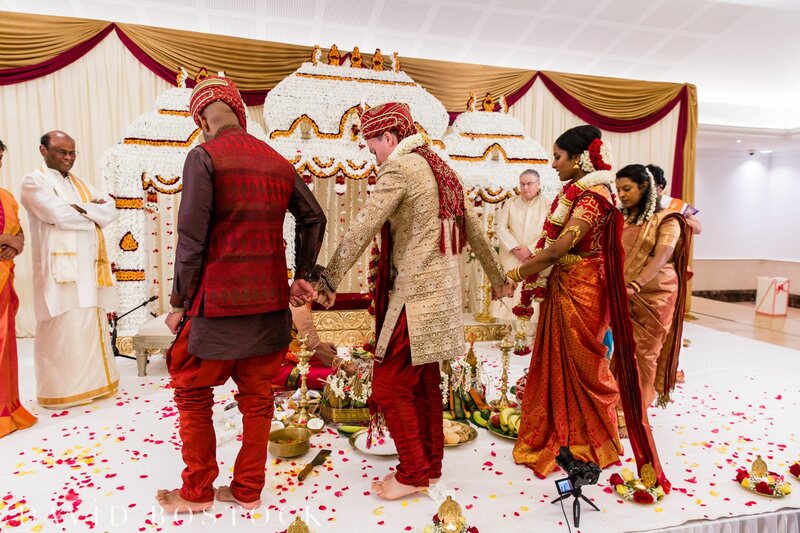 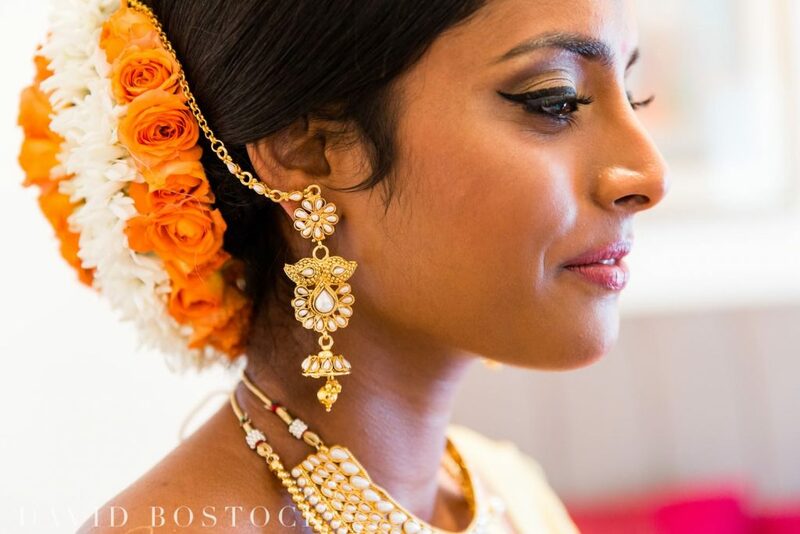 This Hindu wedding was definitely one of my more memorable days as a wedding photographer; filled with fabulous traditions, colour, family and some amazing music! 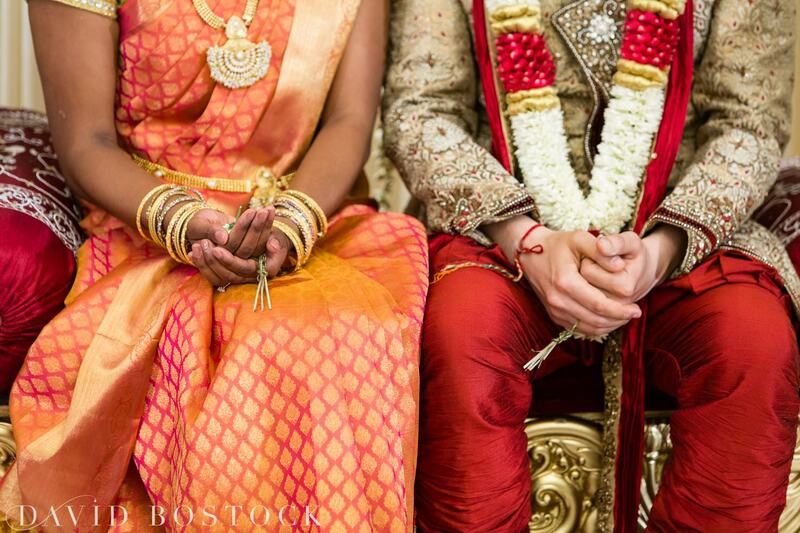 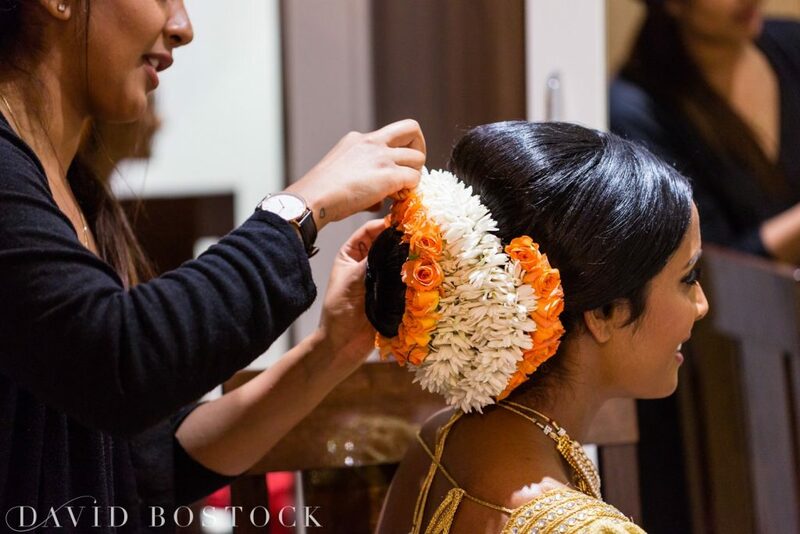 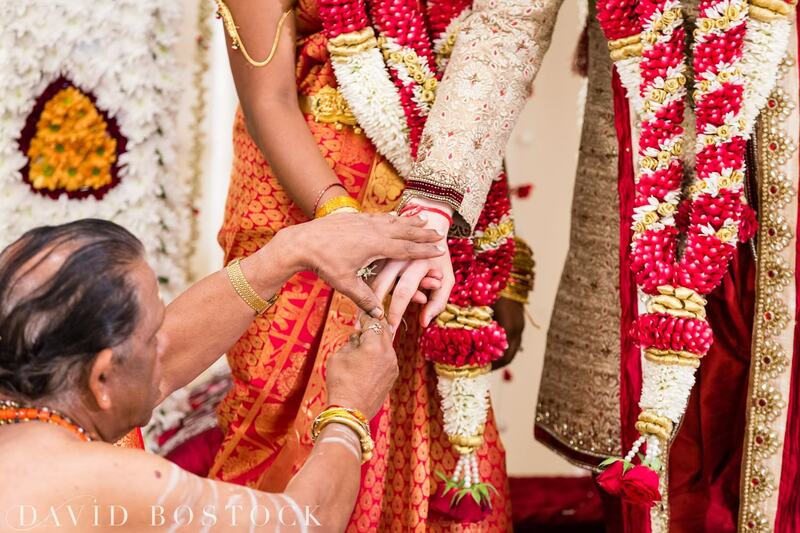 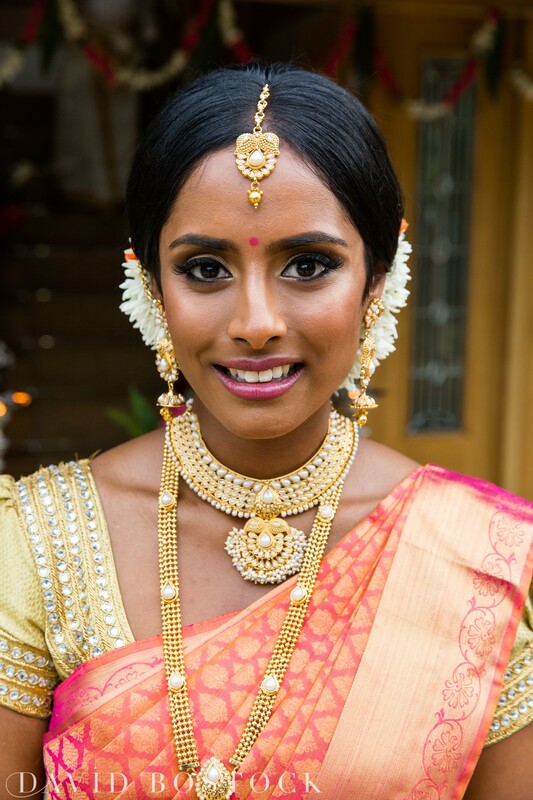 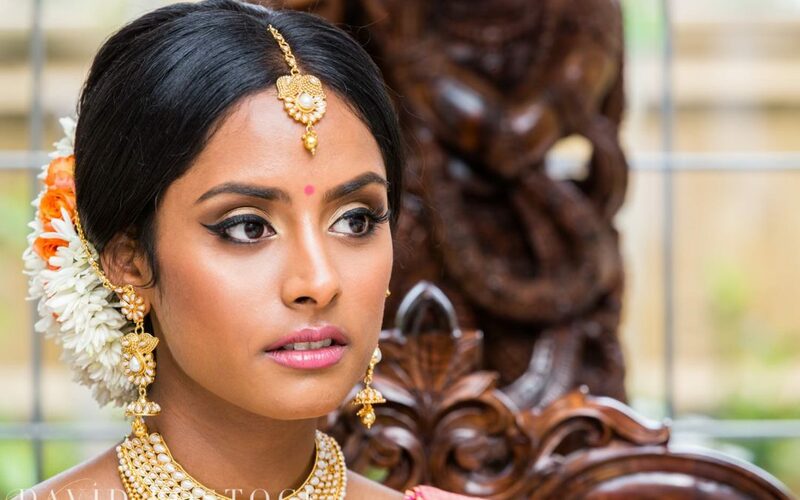 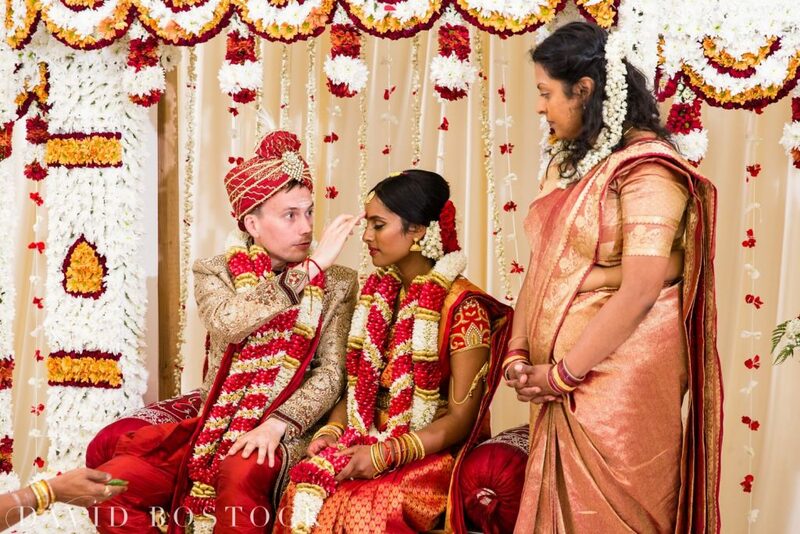 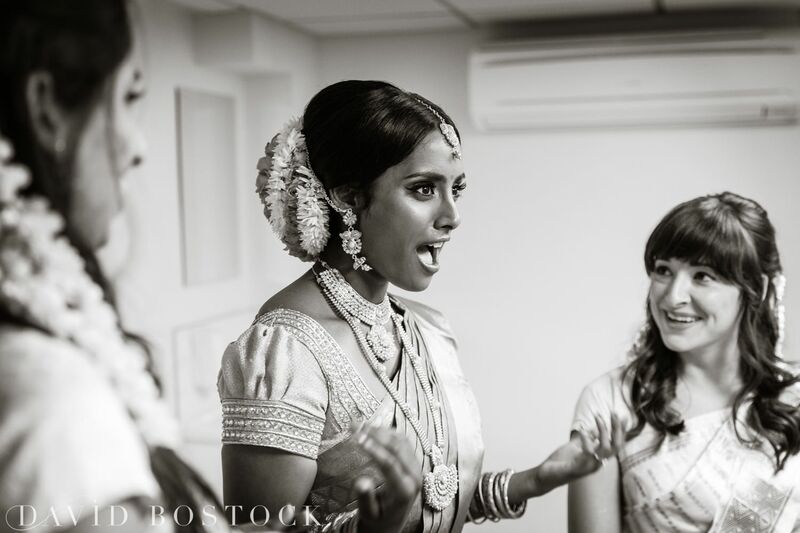 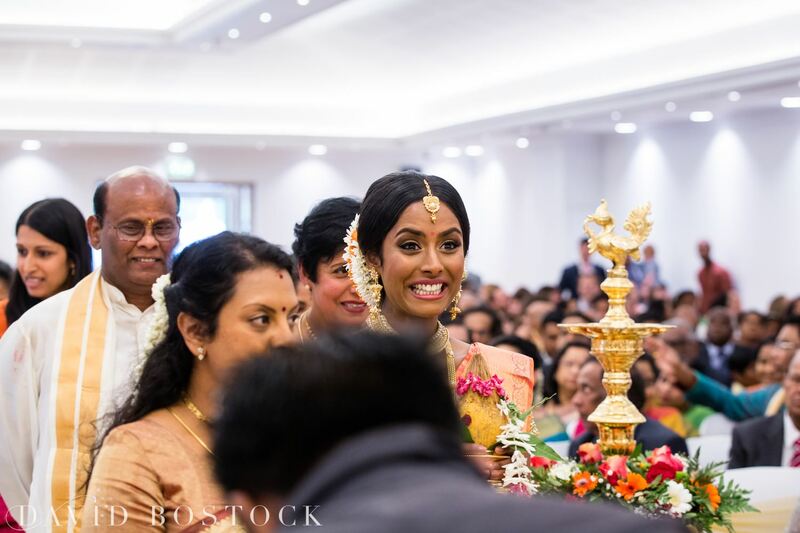 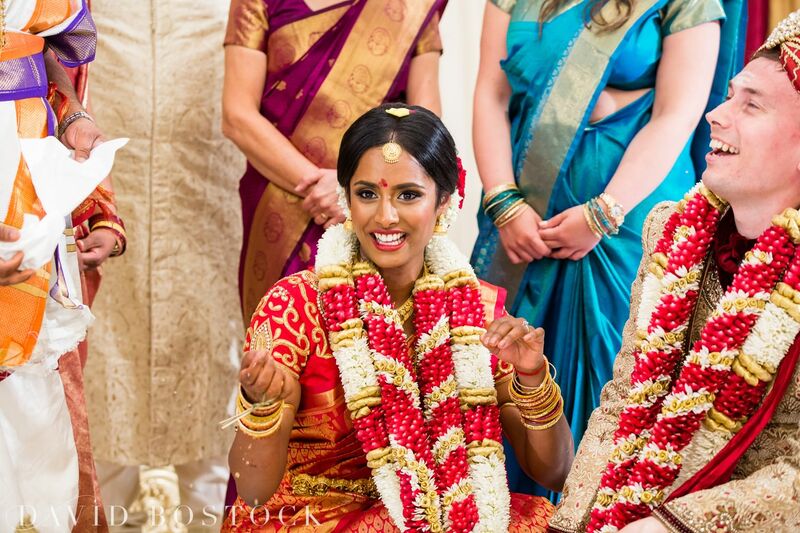 And it’s not every day you can say you captured a Tamil Sri-Lankan Hindi Indian wedding in London with a Welsh groom! 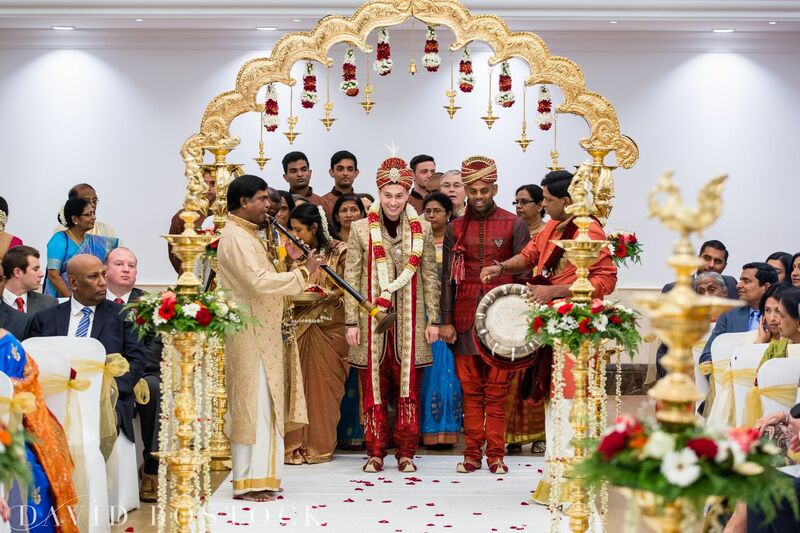 Gareth and Harigey’s family and friends, from completely different backgrounds, came together to celebrate on what was such a special day. 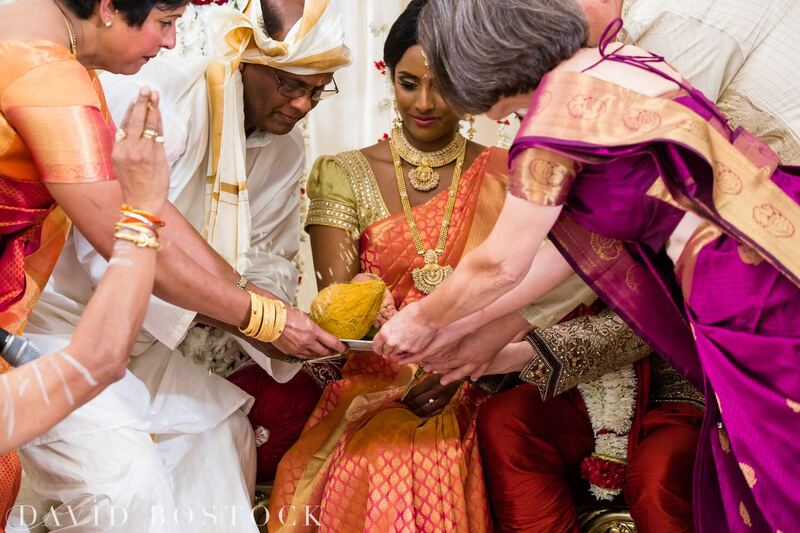 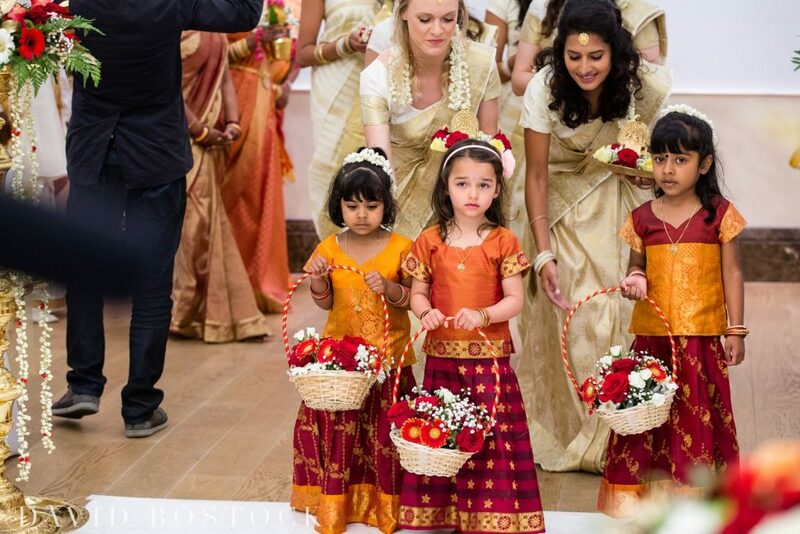 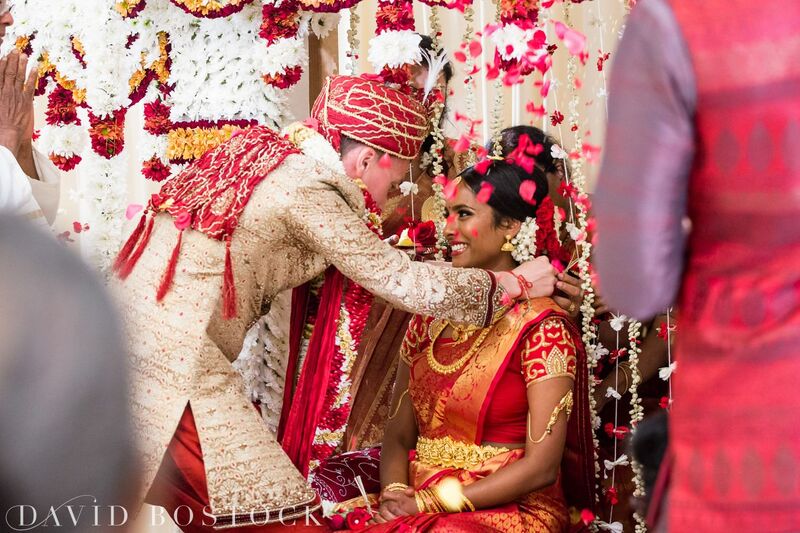 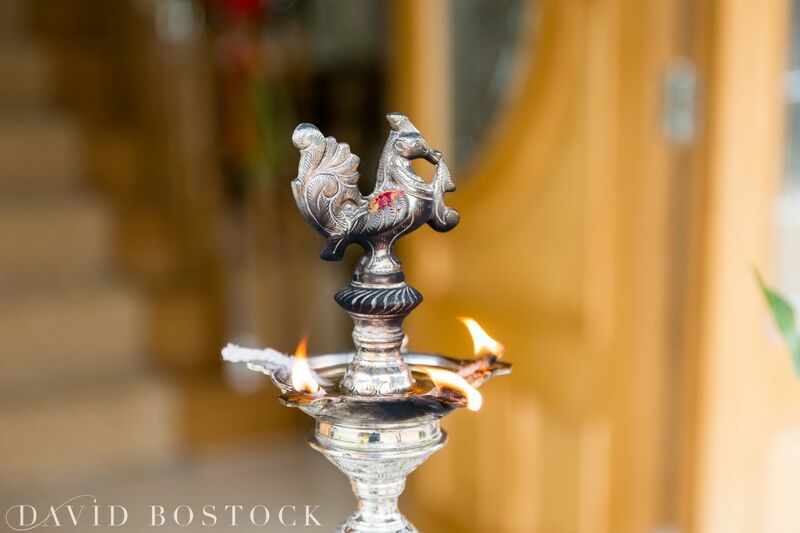 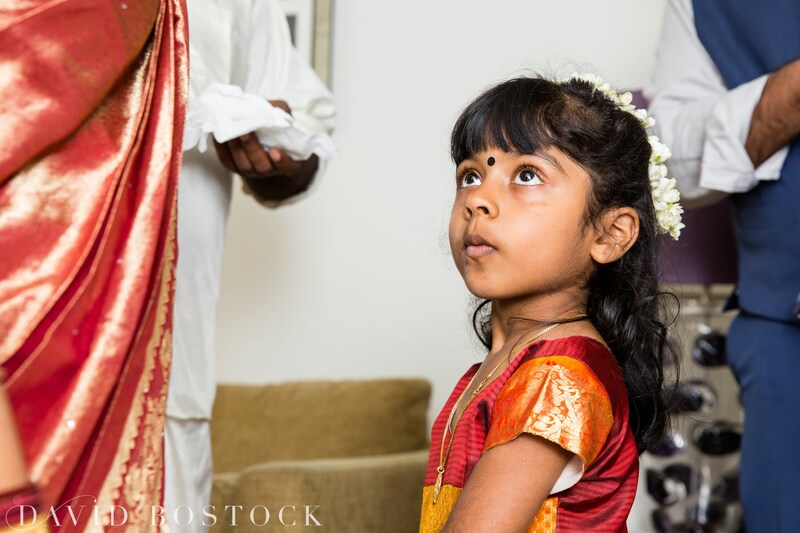 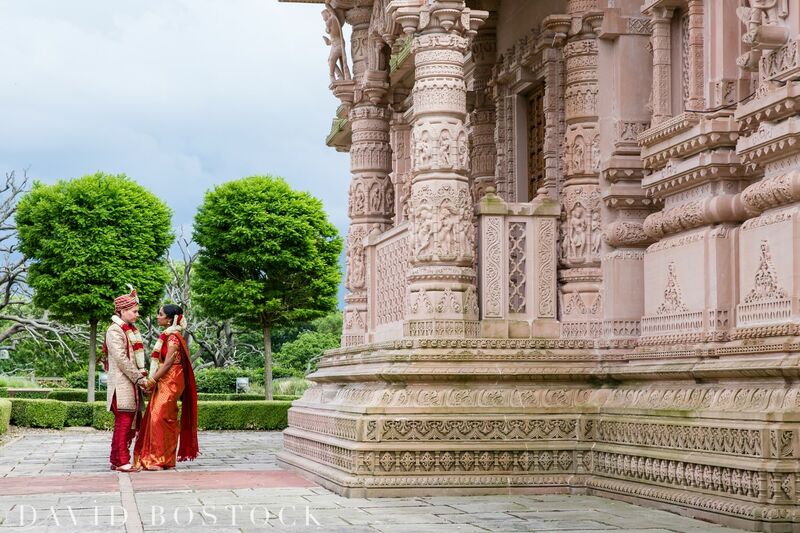 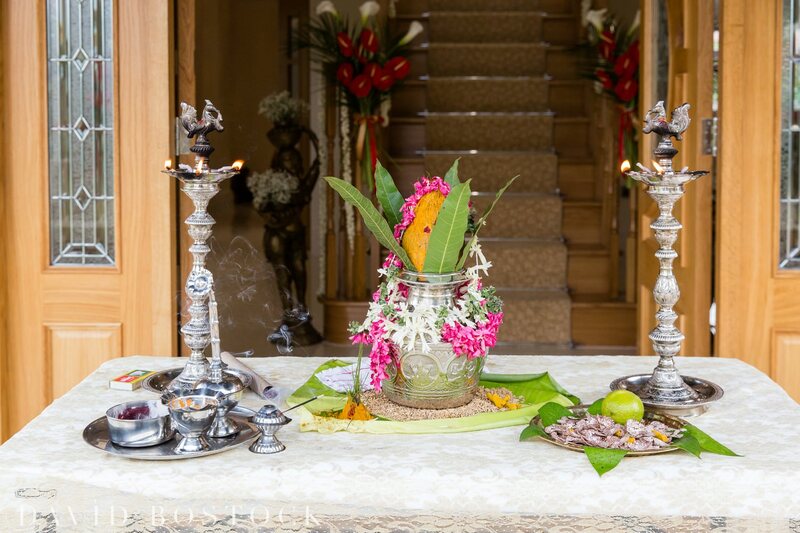 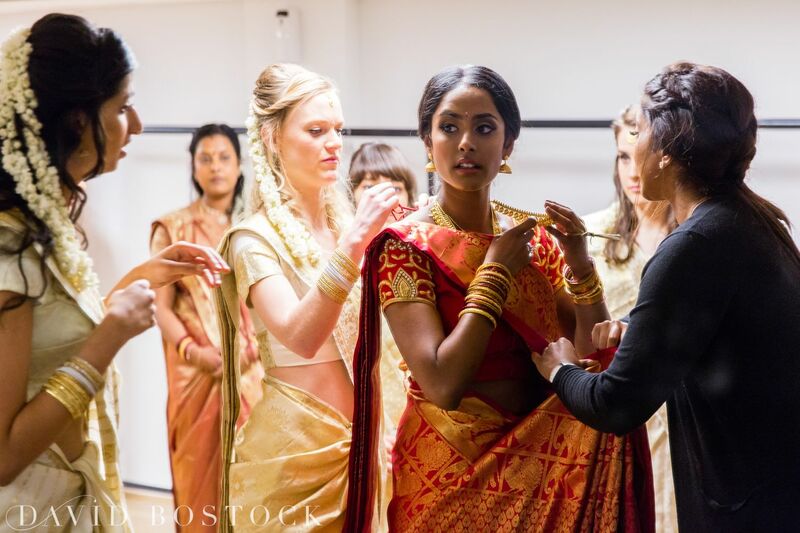 A Hindu ceremony is filled with family, friends and some beautiful symbolism and is based on traditions leading back nearly 4000 years. 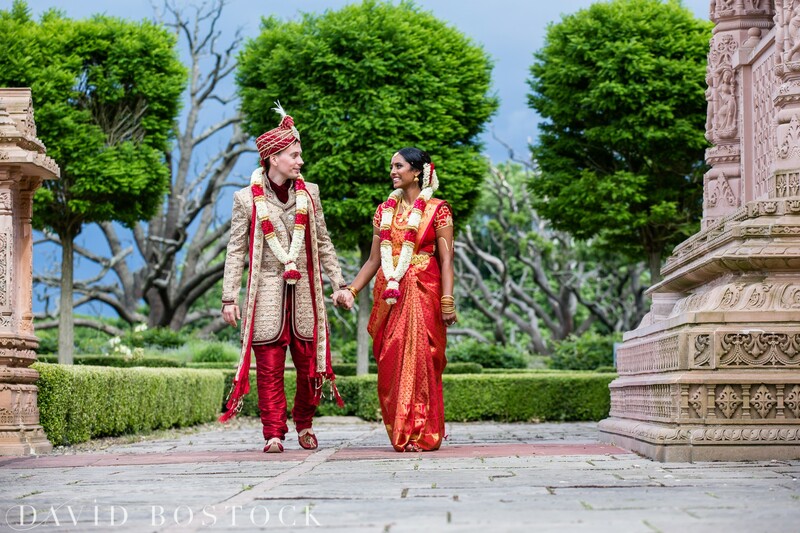 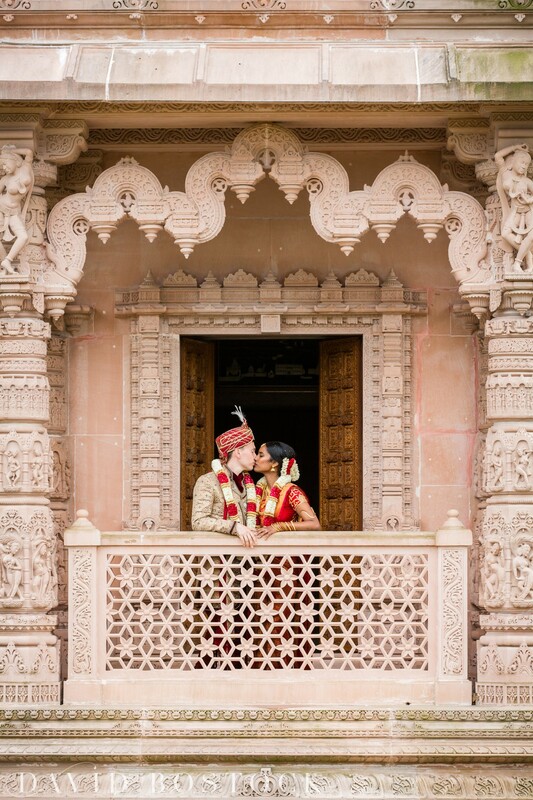 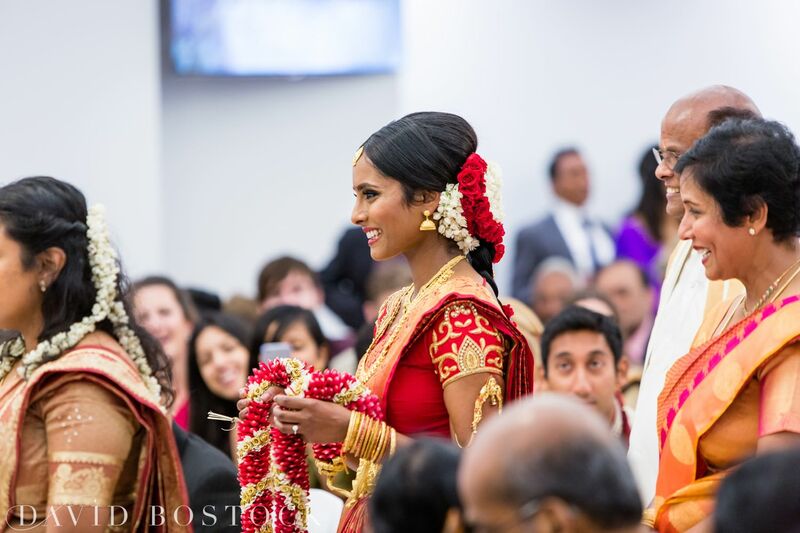 The date and time of a Hindu wedding is predetermined by a priest who uses the Hindu calendar to find the perfect date. 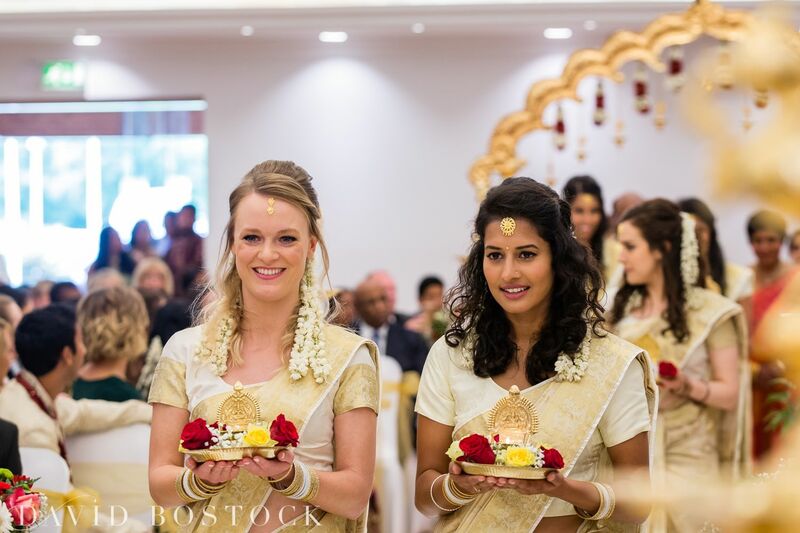 Based in the sacred texts of Hinduism, the Vedas, and incorporates some wonderful traditions. 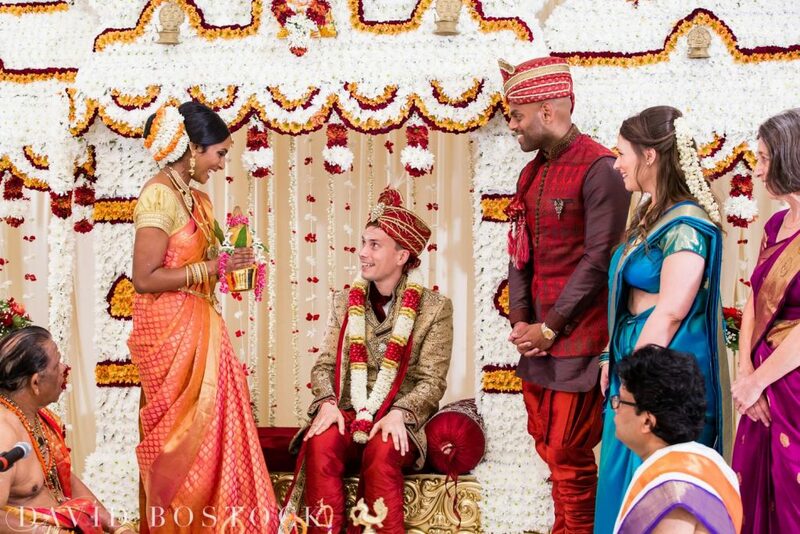 As Gareth the groom arrives he is received by the bride Hariney’s parents who adorne him with a garland. 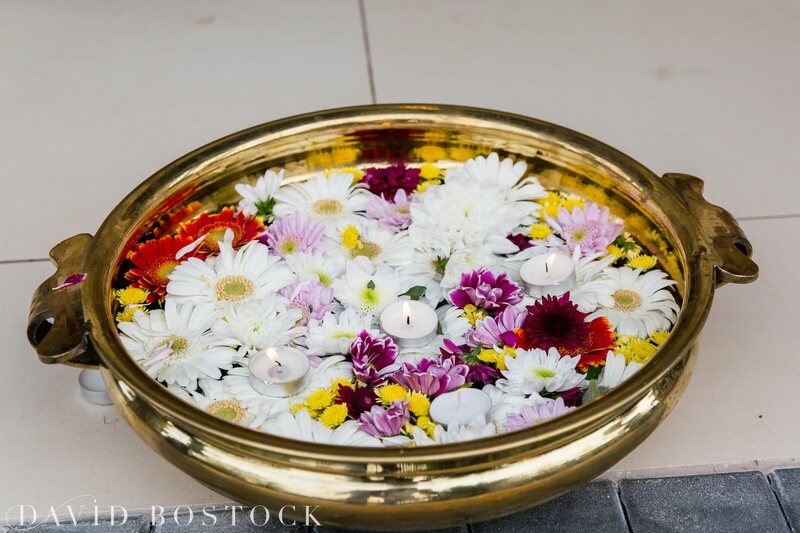 A ritual involving a tray of light is also performed to forestall any mishaps to the proceedings. 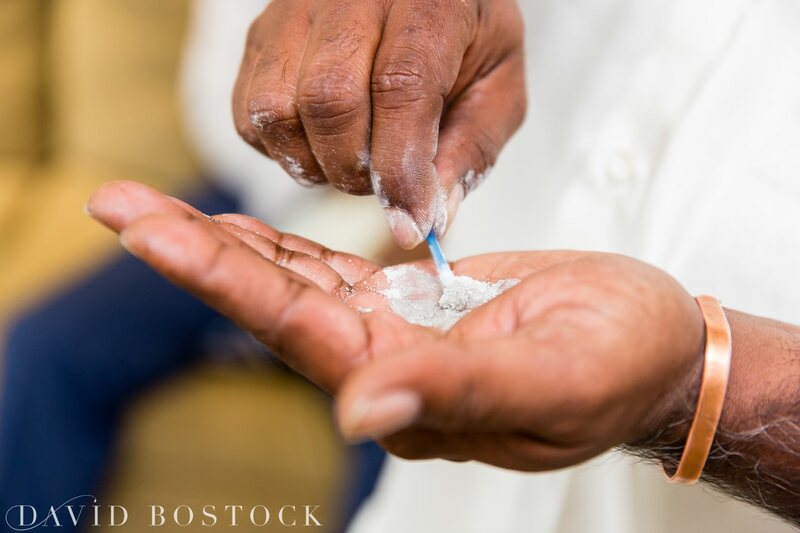 The Priest sanctifies the platform the bride and groom are to sit on by cleansing the ceremonial area with holy water. 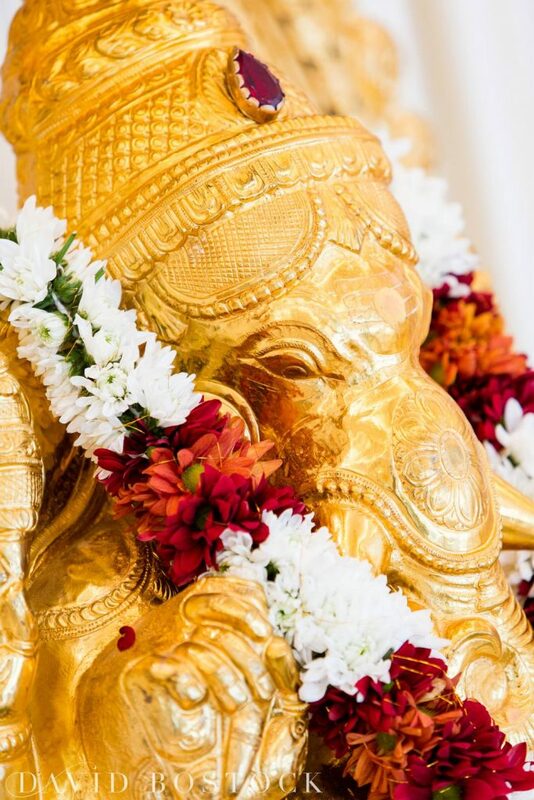 Prayers are then offered to Lord Ganesha, the remover of obstacles, to seek his blessings. 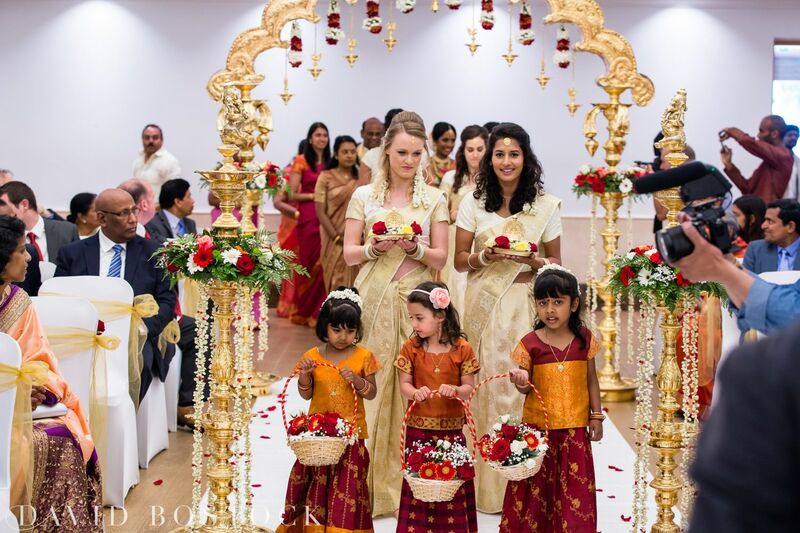 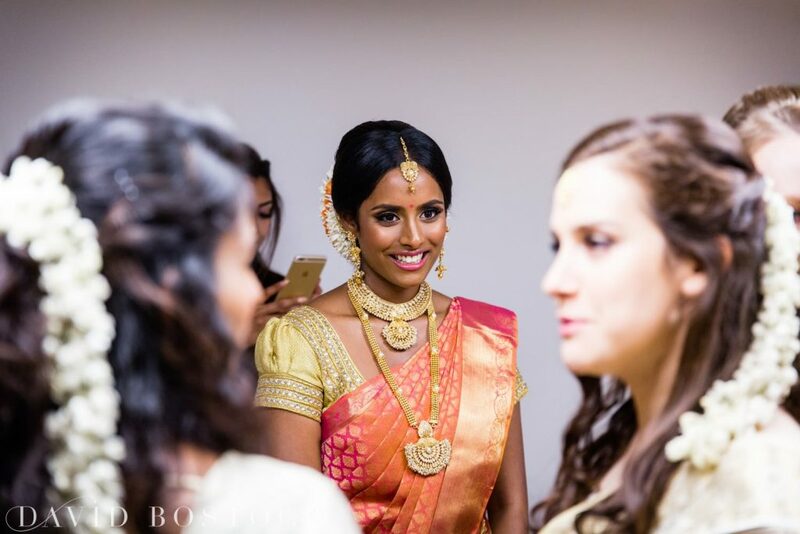 Hariney arrives in the first of her beautiful two sarees led in by her family, bridesmaids and flower girls. 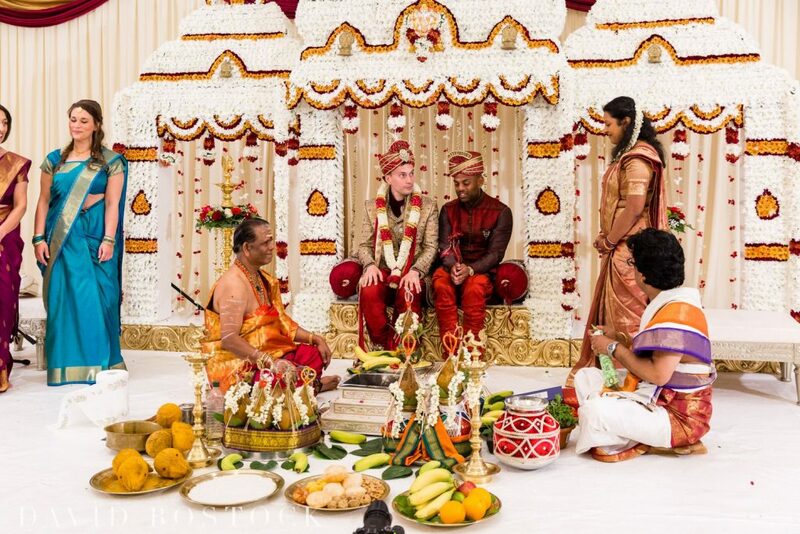 The Priest conducts the same purification and protection rituals for Hariney, as he had conducted for Gareth. 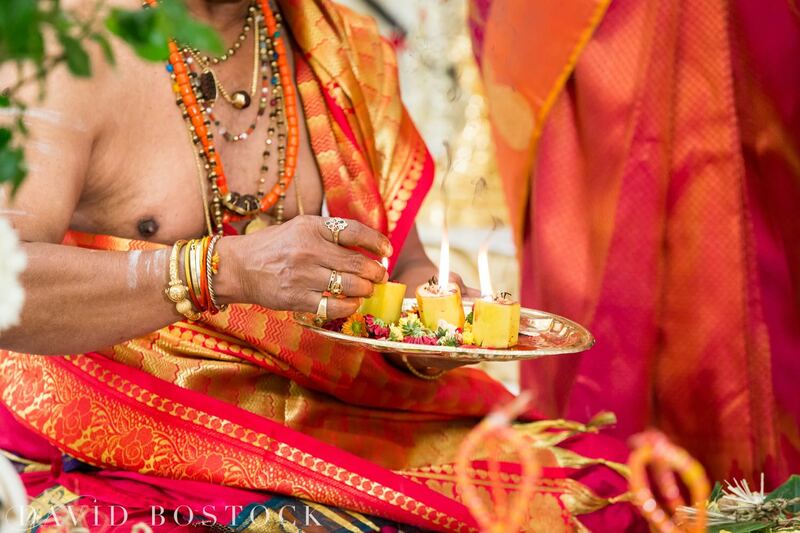 He lights the Agni, the sacred fire, to witness the ceremony, bless the couple, and give radiance and strength to their marriage. 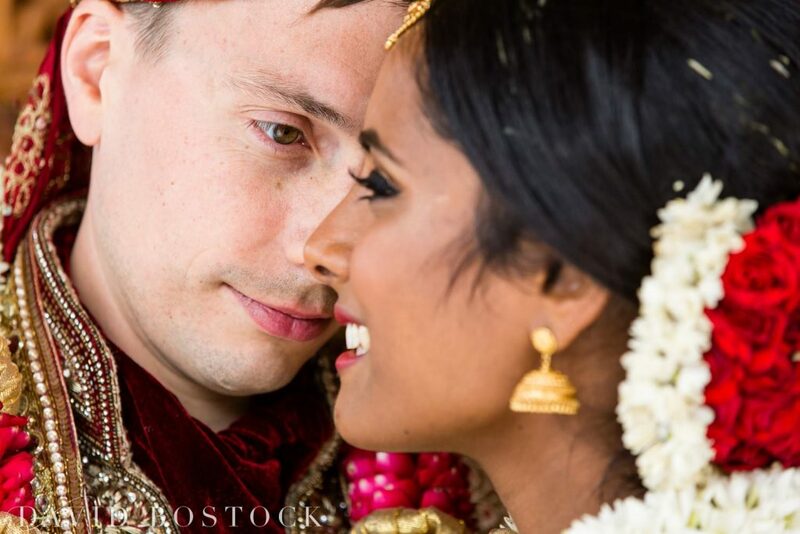 Gareth repeats after the Priest that he will love, honour and cherish Hariney, who is about to become his wife. 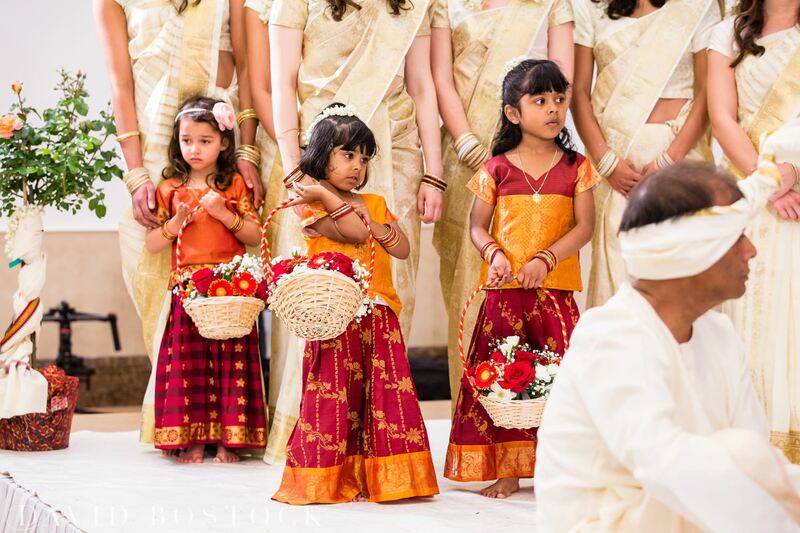 The families then give away their children the next part of the ceremony begins. 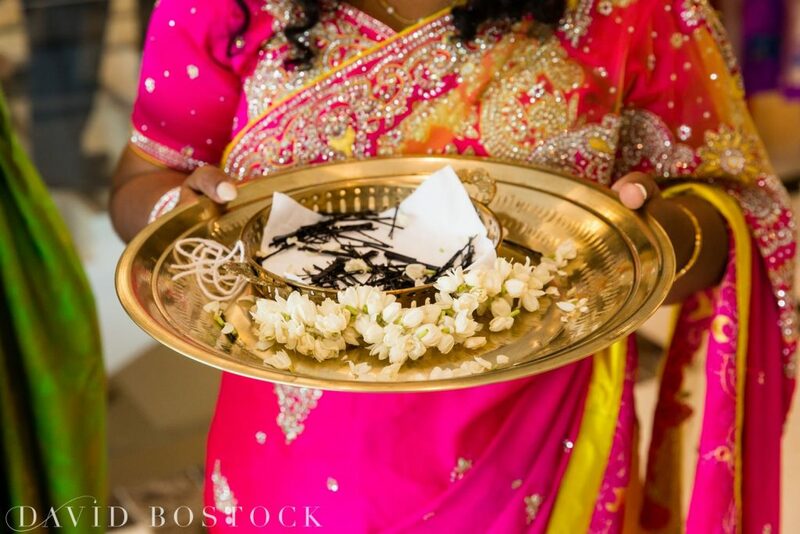 The koorai saree (bridal saree) and thaali kodi (wedding chain) are blessed by the Priest and will then be taken around the congregation for your blessings. Gareth then presents the koorai saree to Hariney, who will leave to change into it for the remainder of the ceremony. 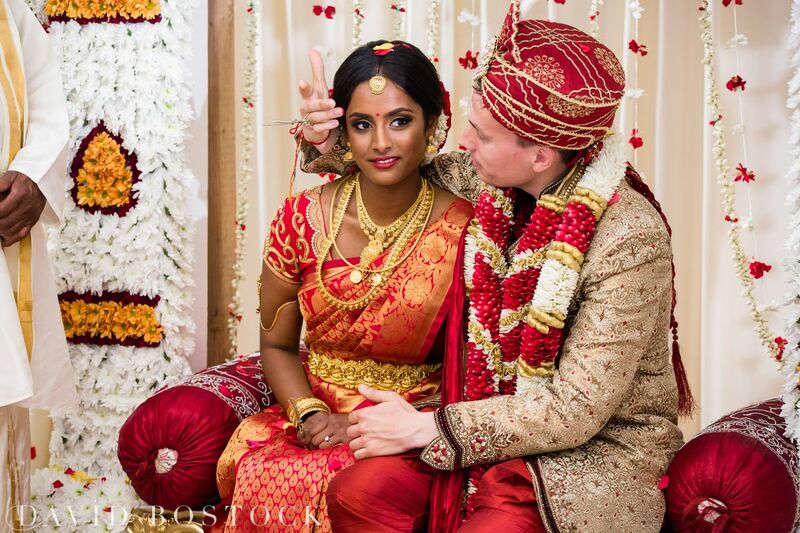 Now Hariney returns looking even more beautiful than ever, wearing her koorai saree, and placing a garland around Gareth signifying her choice. 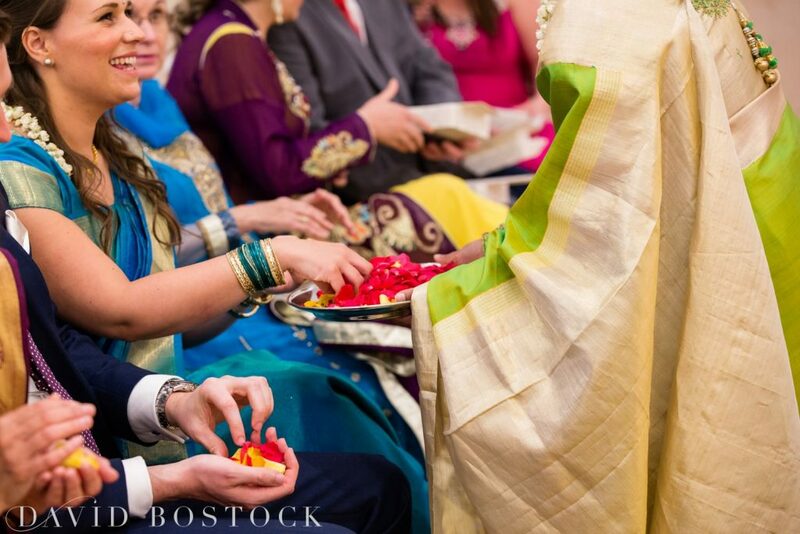 Next follows the most important part of the ceremony. 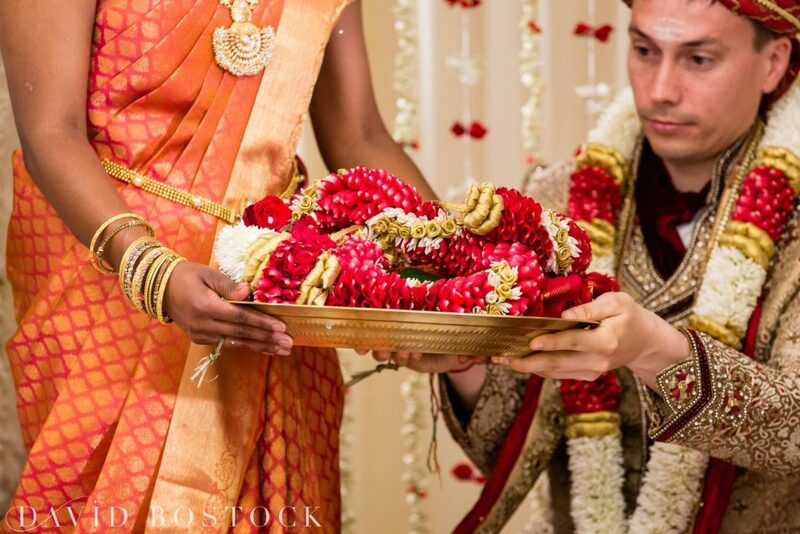 As the resounding drums and classical music reaches its peak, Gareth ties the Thali around Hariney’s neck. 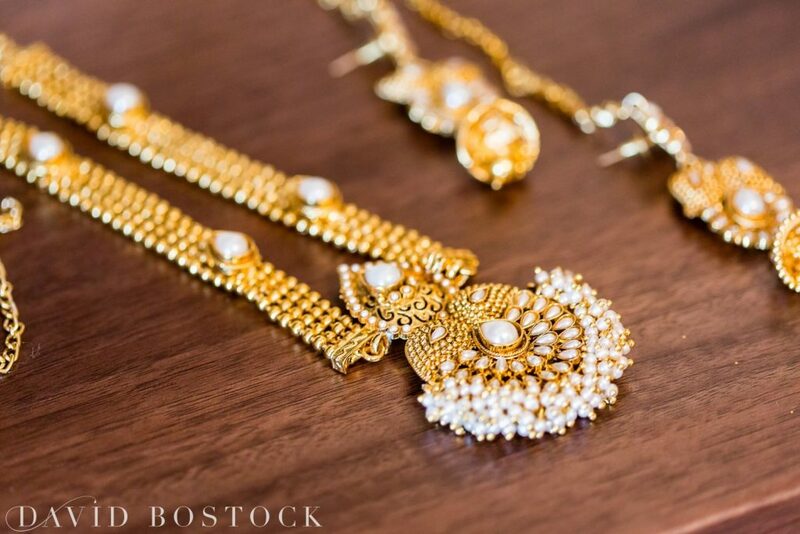 This is the most important aspect of the cultural rituals of the wedding ceremony comparable to the exchange of wedding rings in other societies. 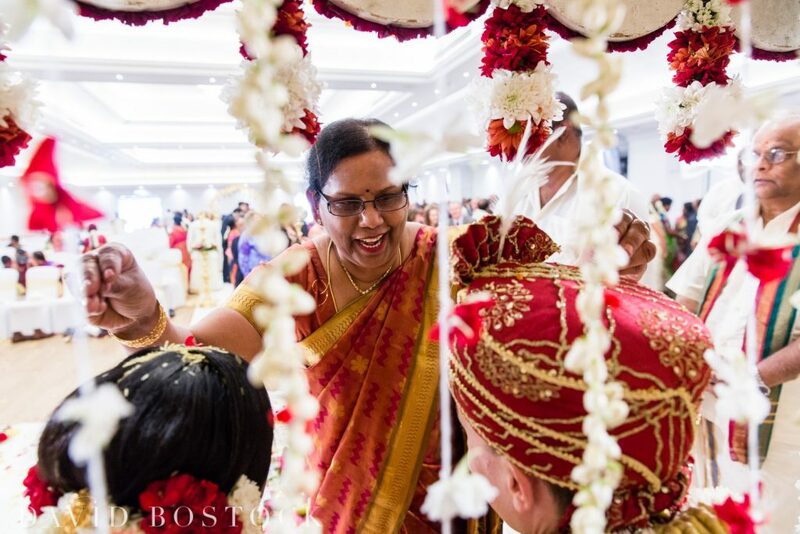 This is the time for audience participation, where the happy couple are showered with your flowers. 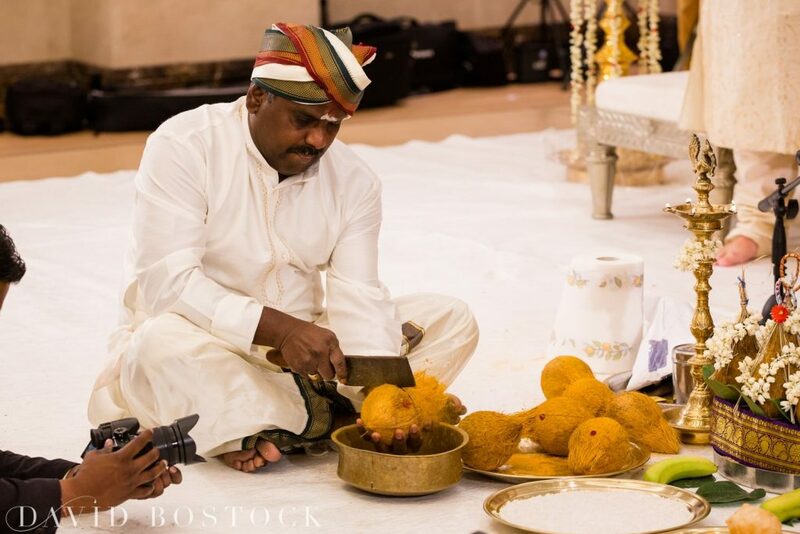 The tying of the thali is timed to an auspicious moment, which is determined by astrologers and priests prior to the wedding. 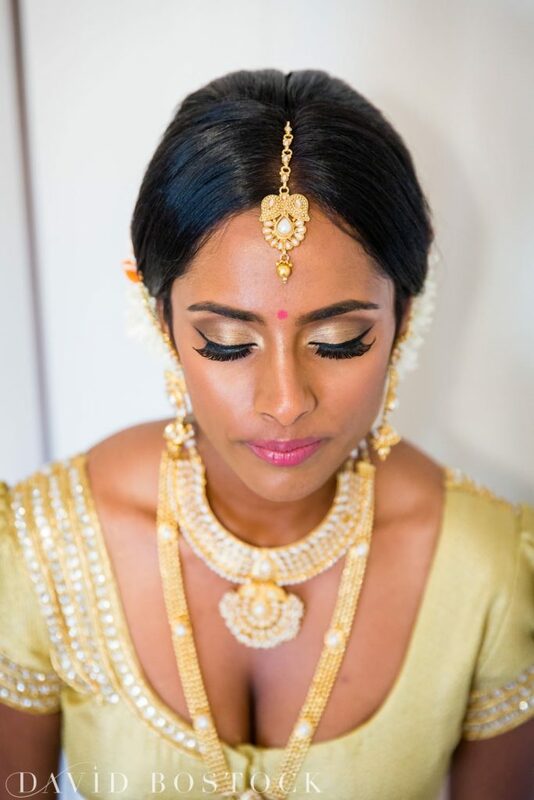 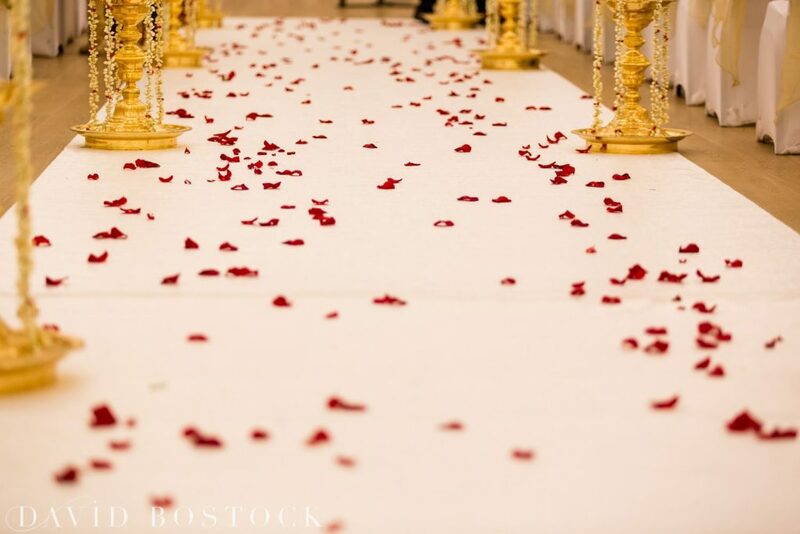 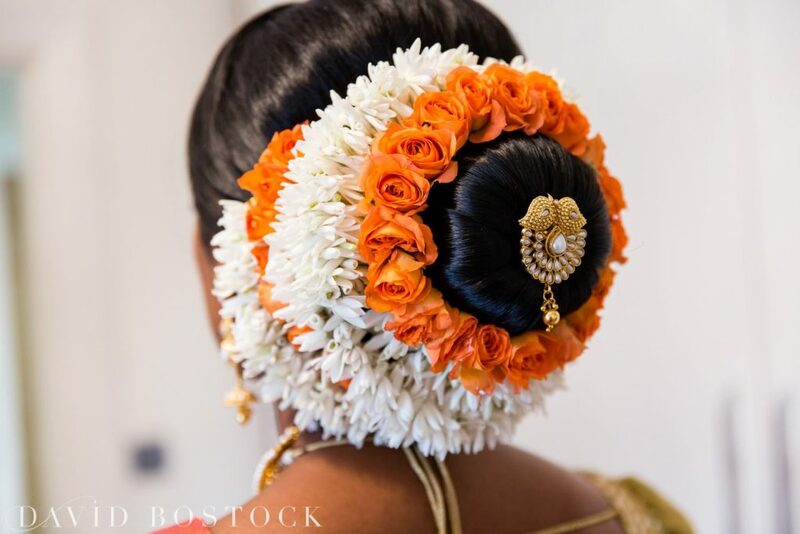 One of the unique features of a Tamil wedding is the use of red and saffron colours to empower richness in the décor, these colours are symbolic of purity and sensuality and for a photographer helped to create some fabulous images. 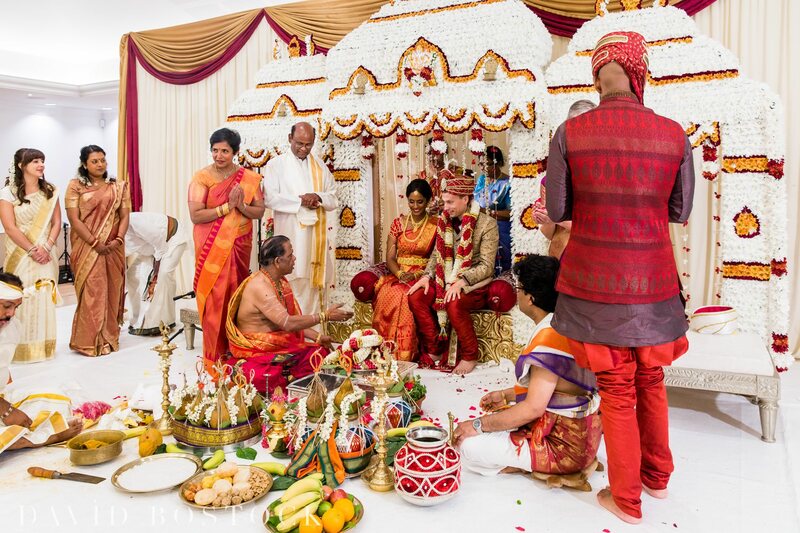 The ceremony was incredibly fast paced with so many fantastic details happening simultaneously. 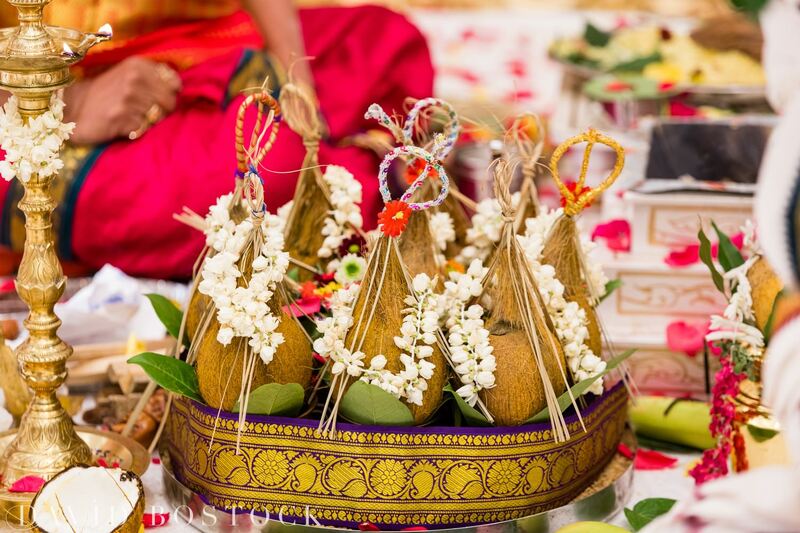 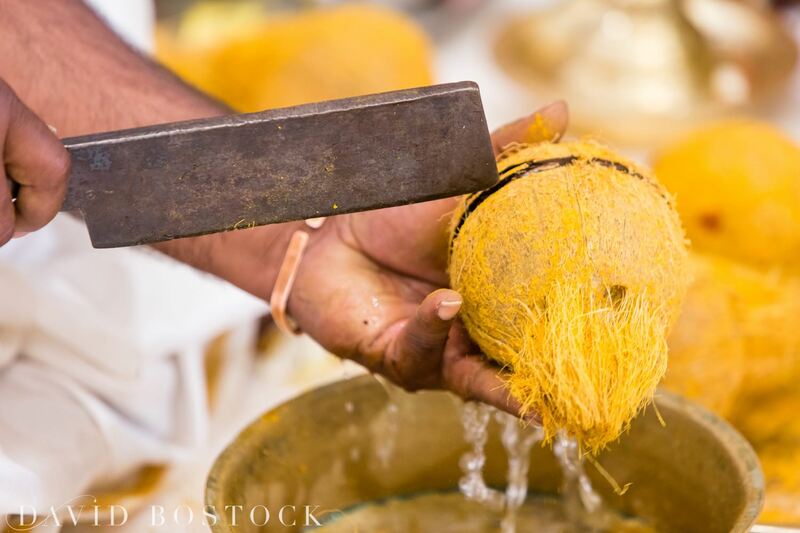 I positioned myself close to the couple for the majority of the ceremony, however this also put me next to the priest using a machete on the symbolic coconuts – there was coconut milk flying everywhere! 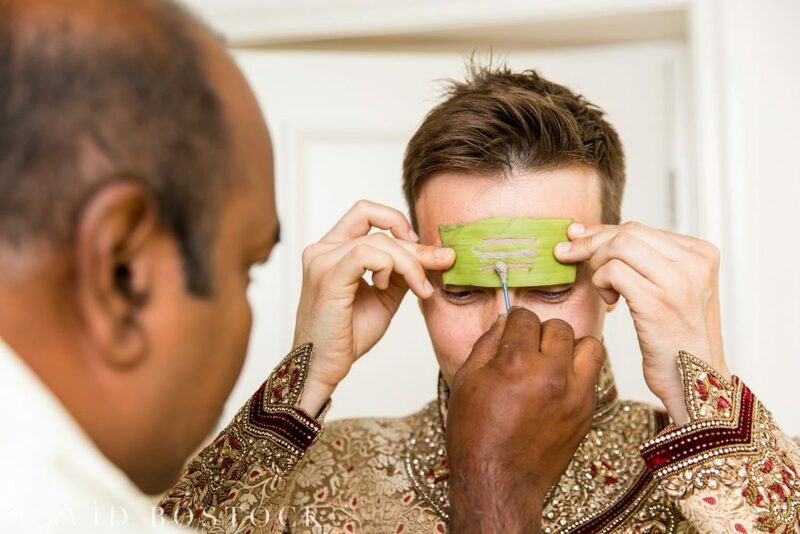 Not a problem I’ve come across before! 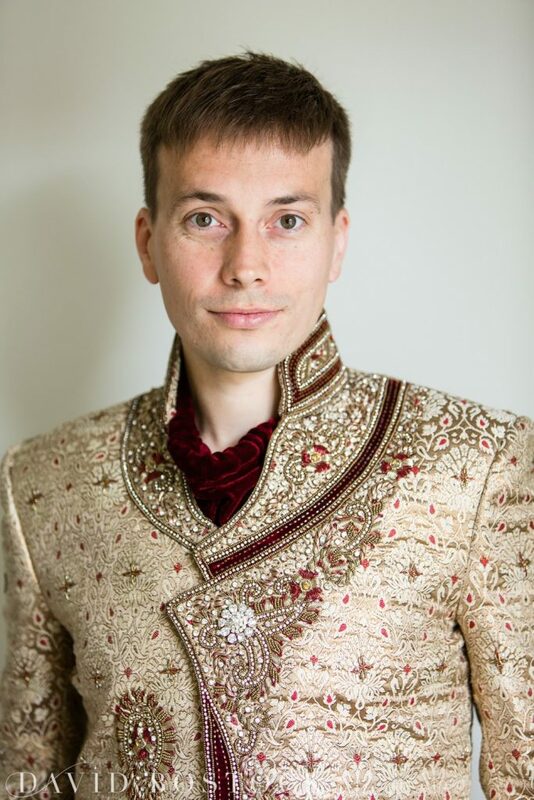 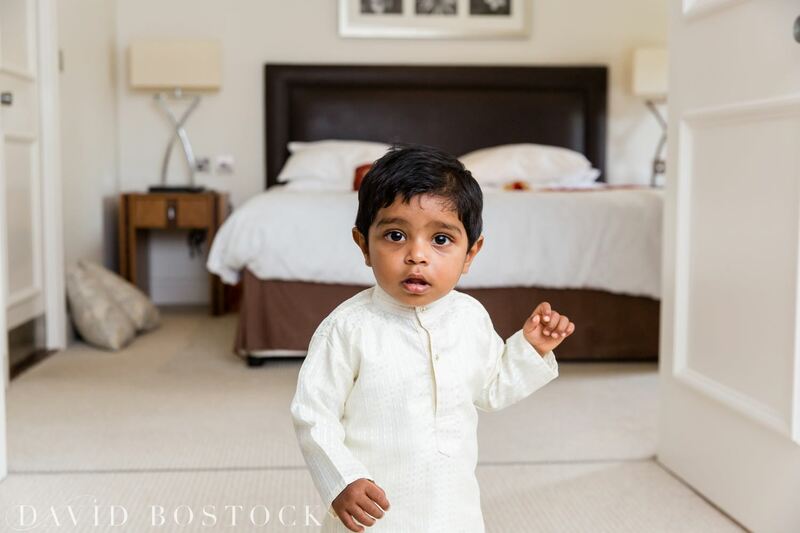 Huge thanks to my super-talented second shooter wedding photographer Andy Holdsworth Photography at this wedding who handled much of the grooms preparations whilst I was with Hariney at her home. 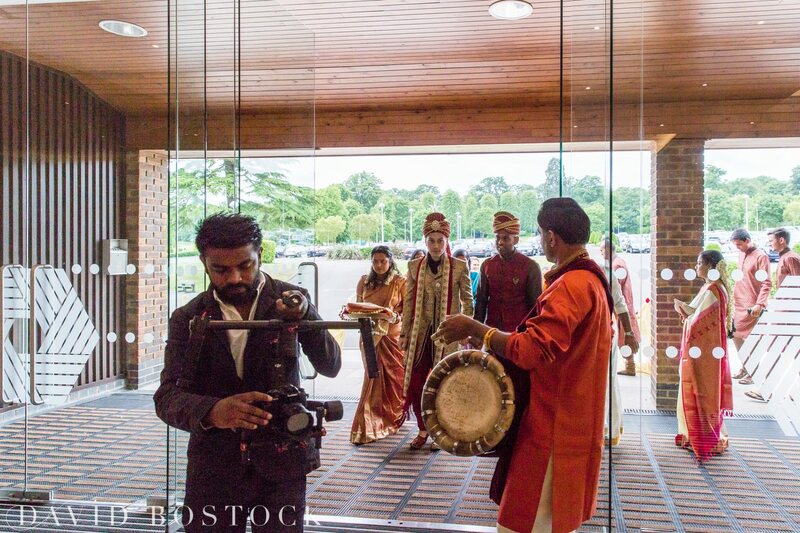 I usually shoot alone at 99% of my weddings but with nearly 500 guests I needed to use a second professional photographer on this one and he did a great job.